KNAC.COM - News - BLACK SABBATH Reunite For Album, Tour? BLACK SABBATH Reunite For Album, Tour? Although management have yet to issue an official statement, according to Sundaymercury.net, the original BLACK SABBATH line-up is getting back together. 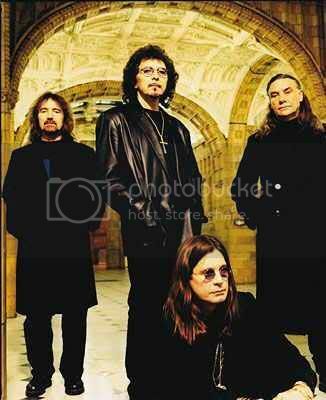 Ozzy Osbourne, Tony Iommi, Geezer Butler and Bill Ward have begun rehearsing for a tour and new studio album. In June this year vocalist Ozzy and guitarist Iommi wrote new material for a record that will be released next year. ‘‘It’s all been very hush-hush. Ozzy’s been the worst at trying to hold it back. He’s doing a lot of TV and he’s being asked stuff about a reunion and he’s going ‘well I never say never’. Iommi's last version of Black Sabbath, called HEAVEN & HELL, came to an end when singer Ronnie James Dio died in May 2010.